Fajar has wide networking in Indonesia Tax Authority and worked for the DGT from1999 until 2012. He has wide experience dealing with the tax authorities in such matters as tax dispute resolution, tax rulings, tax refund handling, tax litigation, and defending clients before the tax court. Fajar acts also as a speaker at local and international seminars, a tax lecturer at Perbanas Institute Jakarta, and a trainer in several workshops. 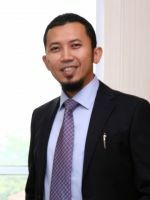 Fajar holds a Taxation Diploma from State Institute of Accountancy (STAN Jakarta) and graduated from Padjadjaran University, Bandung majoring in Accountancy. He received his Master in Business Law from Indonesia University Jakarta in 2011. Fajar is also member of Indonesia Chartered Accountant, Indonesia Tax Consultant Association, and Litigation Departmenet at Indonesia Young Entrepreneur Association (HIPMI) Tax Center. He speaks bahas Indonesia, English, and Arabic. He received his bachelor of accounting from the State College of Accounting (STAN) and the University of Indonesia. He holds a Masters in Financial Management from the University of Indonesia. 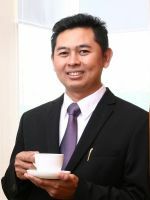 He is a Certified Tax Consultant from the Association of Indonesian Tax Consultants (IKPI), a Chartered Accountant from the Institute of Indonesian Chartered Accountants (IAI), and a Certified Professional Management Accountant from the Institute of Indonesian Management Accountants (IAMI). He also holds a license as Licensed Tax Consultant from the Directorate General of Taxes, Ministry of Finance. His expertise is taxation, audit, accounting, finance, and strategic management. He has experience as government tax officer most recently as Section Head. He is the Commissioner of PT Jakarta Strategic Consulting and founder of TAF Institute. He is also Financial and Strategic Advisor for several local companies. Other past positions that he held include Tax Manager at PT Pertamina Patra Niaga and then as Director of Finance and Human Capital at PT Angkasa Pura Solusi. Sjafar also finds time to be a speaker and lecturer at seminars and workshops and has authored books on taxatio. Mark is a Fellow of the Institute of Chartered Accountants in England and Wales and also the Chartered Management Institute. Following a career in investment banking in the UK, Hong Kong and Indonesia, his last positions were as country manager for 2 leading European banks. 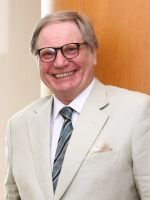 Mark has a total of 36 years experience in Asia as a banker and subsequently as an entrepreneur in manufacturing, hospitality and real estate, and has strong interpersonal and negotiating skills and understanding of Asian culture. He has wide experience in financial and operational management and marketing as well as business consulting and advisory work involving domestic and cross border transactions such as investment, M&A, private equity and direct investment.